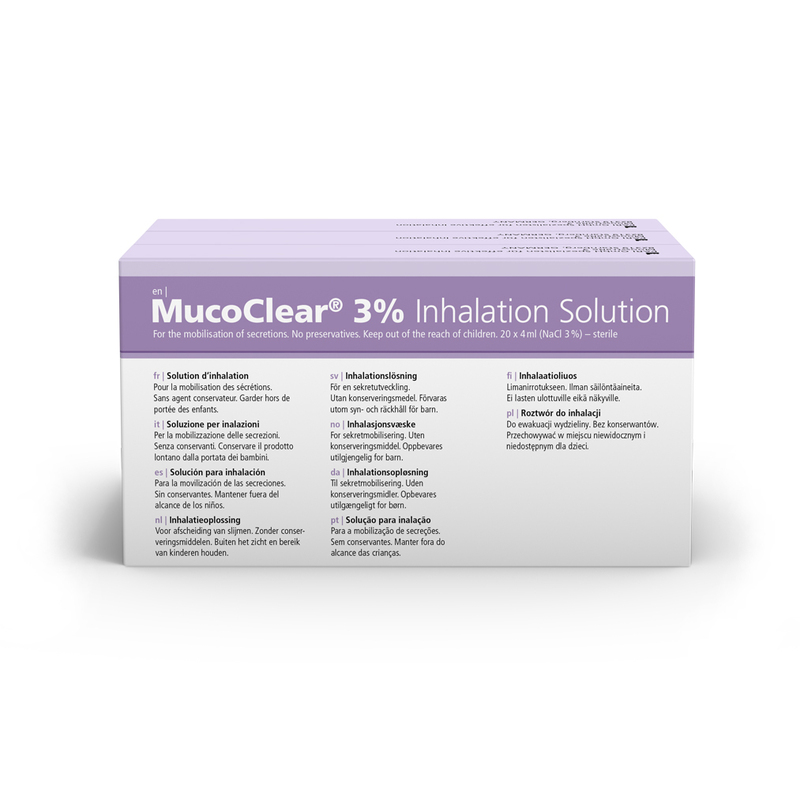 The Inhalation Solution MucoClear 3%® gently and effectively loosens mucus. Therefore, the inhalation solution is suitable not only for adults, but also for children and infants. 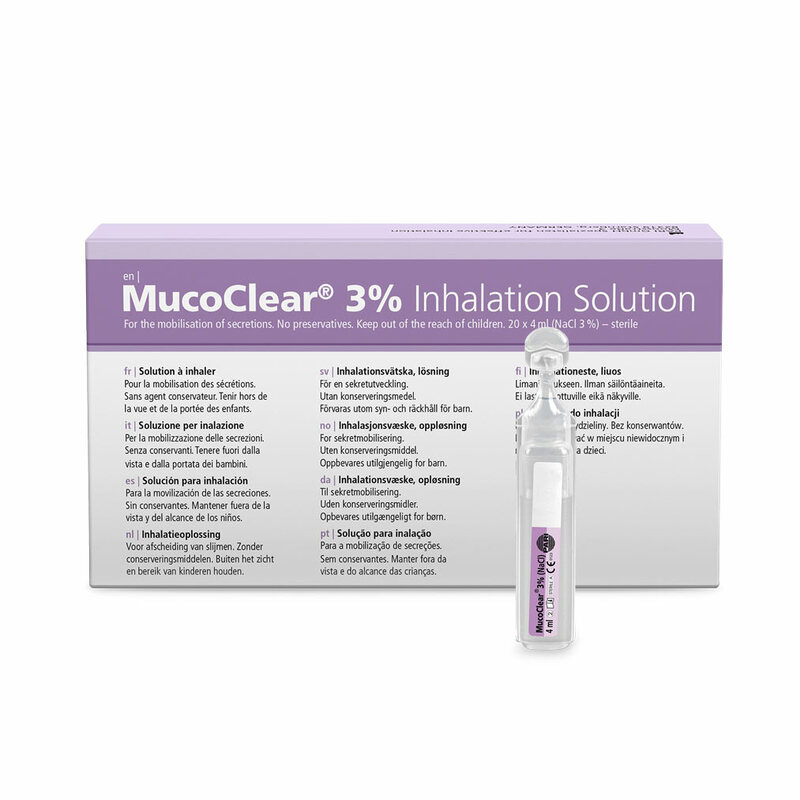 MucoClear 3%® Inhalation Solution is most frequently used in cases of acute bronchiolitis, bronchitis and cystic fibrosis. Depending on your needs, you can inhale a sterile vial of four millilitres two to four times a day. For the application we recommend a modern inhalation device from PARI. For use in the area of the sinuses, we recommend the PARI SINUS. If you have a hypersensitive bronchial system, consult your doctor or pharmacist before use.